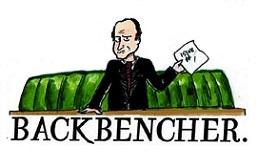 The Backbencher – What has happened to Britain’s centrists? What has happened to Britain’s centrists? The current political landscape is incredibly divisive and unifying our society seems fantastically unlikely. The Brexit vote and Theresa May’s election blunder has created a paranoid and divided Britain. The hard-left of Corbyn’s Labour or a humiliated Conservative party tarnished by infighting? Not the best choices for Britain. As both leading parties are in such disarray it would be expected to see a resurgence of centrist-progressive politics, but this has failed to happen. Why? The centre ground is probably the best way to heal the divides within our society by appealing to the right and the left. Emmanuel Macron and Justin Trudeau are examples of the centre ground succeeding in the modern era, why hasn’t Britain experienced this? When did Britain’s centre die? In my opinion, it happened over a series of events rather than one. The first being the resignation of Tony Blair. Despite his flaws and current reputation, there was a time when Tony Blair offered hope and progress. 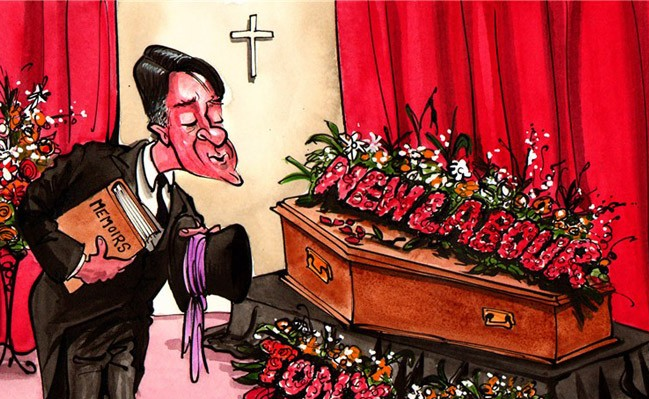 By 2007 the Blair brand had expired and Labour needed a new face to lead the party. Unfortunately, that face was Gordon Brown. Obviously, Gordon Brown is a very capable and intelligent man. Brown has been described as one of the strongest chancellors that Britain has ever had and most notably he saved Britain from entering the single currency. However, Brown lacked the charisma and leadership quality to resell the centre ground to the public in 2010. The second event that dented the progressive movement was David Miliband’s defeat in the Labour leadership contest following the 2010 general election. David Miliband led the election in every single opinion poll and won every round during the election, up until the final one. Why? The power of affiliated members and the Trade Unions who put their faith in his brother, Ed. Obviously, Ed Miliband is far from being Jeremy Corbyn, let’s not forget that he served in the cabinet under Gordon Brown. But, he was on the left of New Labour and the media gave him the affectionate nickname; “Red Ed”. The defeat of David Miliband was a minor blow to the Labour moderates who were hoping for a resurgence after Labour’s defeat in 2015. How wrong they were. The final nail in the coffin for Labour’s progressive movement was Jeremy Corbyn. His remarkable victory was unexpected to say the least and the Conservatives (at the time) were laughing their heads off. Hindsight is a beautiful thing. The Labour party is in the firm grip of Momentum and the threat of deselection is a harsh possibility for many of the Labour moderates. This may see the Labour party filled with Corbynista “yes men” who would be lacking the expertise needed to run a successful parliamentary party. Although Corbyn’s politics were rejected on June 8th he is far from finished. Despite losing the election, Corbyn has never been stronger and according to the opinion polls he will be our next prime minister. The moderates in the Labour party were ultimately saved by Corbyn’s campaigning in 2017 (ironically) and a New Labour resurgence has never looked so unlikely. The centre ground does not fully belong to Labour. The Liberal Democrats sell themselves as being the party between the extremes; but they have been on a downward spiral ever since the tuition fees U-turn in 2012. It would be the natural party to choose if a voter feels disillusioned by the two main parties and the 2017 election was perfect for them to make a resurgence. But that didn’t happen, in fact the Lib Dems lost votes rather than making significant gains. Tim Farron put his eggs all in one basket hoping that an anti-Brexit narrative would help him in the “#LibDemFightback”. However, his campaign flopped and his second referendum proposals came off as undemocratic whinging. The Lib Dems’ latest campaign has damaged not only their image but also centre politics. The Lib Dems seem to be on a constant process of rebranding and with Tim Farron’s resignation they had another chance to repackage the centre ground. Earlier this month, Vince Cable was made the new leader of the Liberal Democrats but he was running completely unopposed. Unfortunately for Cable this may come back to haunt him. Like Theresa May, Cable may be accused of not having a mandate from his party which is a flaw his opponents will be more than willing to exploit. Vince Cable suffers from the same problem as Gordon Brown; he may be unable to sell the centre to the electorate. 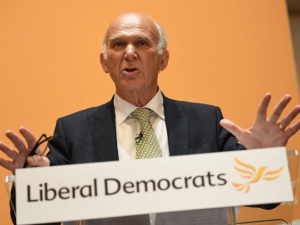 At the age of 74, Cable is not the refreshing look that the Liberal Democrats need to rebrand and the fact that he served in the coalition government is also a factor that will sway voters. The Liberal Democrats may need to accept the referendum result and cooperate over Brexit because it evidently didn’t work in June. The centre ground does not seem likely to make a resurgence in Britain but the potential is there. The Labour Party’s Progress branch need a serious rethink about their future and if it belongs with Labour. Momentum’s control over the Labour may lead to a physical split with Paul Mason suggesting that the Blairites should leave and form their own party. Elsewhere, the Liberal Democrats are only damaging the centre ground movement with their pessimistic campaigning losing the electorate’s trust. Progressive politics is meant to appeal and please voters on both sides of the spectrum. It should embody hope and the promise of positive change. Emmanuel Macron and Justin Trudeau campaigned in their respective countries with this optimistic message and, ultimately, it has led to positivity among their societies. Progressive politics is far from dead but it is losing relevance in Britain. If moderates wish to survive, they need a platform to perform on which allows them to bring the centre ground back into the public’s minds.